Stock your store shelves or your personal pantry with Perfetti Van Melle candy from The Wholesale Candy Shop. 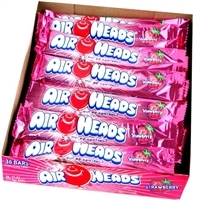 We sell all of your chewy, fruity favorites including Airheads candy in bulk packages. 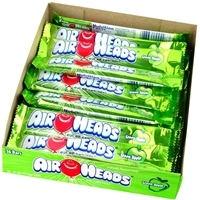 From snackable, shareable Airheads Bites to the sour tang of Airheads Extreme, we have everything that the fruit candy lover could want. 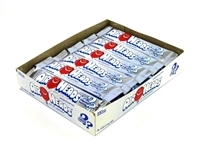 Add a cooling touch of mint with some Mentos in bulk to round out your collection. 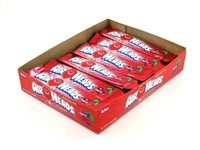 Choose Airheads in bulk boxes of 36 or 72, or opt for convenient, portable theater boxes that customers love. Having these colorful candies on your shelves attracts the attention of kids and adults alike. 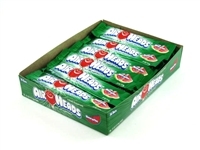 With the bargain prices at The Wholesale Candy Shop, you can expand your candy offerings without stretching your budget. Order now for free shipping on purchases of $150.00 or more! Taffy-like chewy candy available in assorted flavors. Whether minty or fruity, Mentos are always fresh and chewy! They make you go Mentos! Taffy-like chewy candy available in assorted flavors. Now available in bite size!